Today, March 26th, is the American Diabetes Association’s Diabetes Alert Day. Today is your “wake-up call” about your risk factors for diabetes! 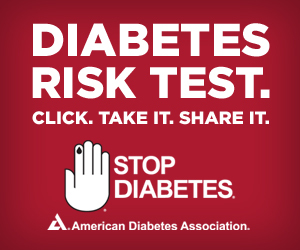 Find out if your at risk with this simple test, then find out ways to change your lifestyle and prevent Type 2 Diabetes. Take the test then learn how to lower your risk. Click here to lower your risk today.